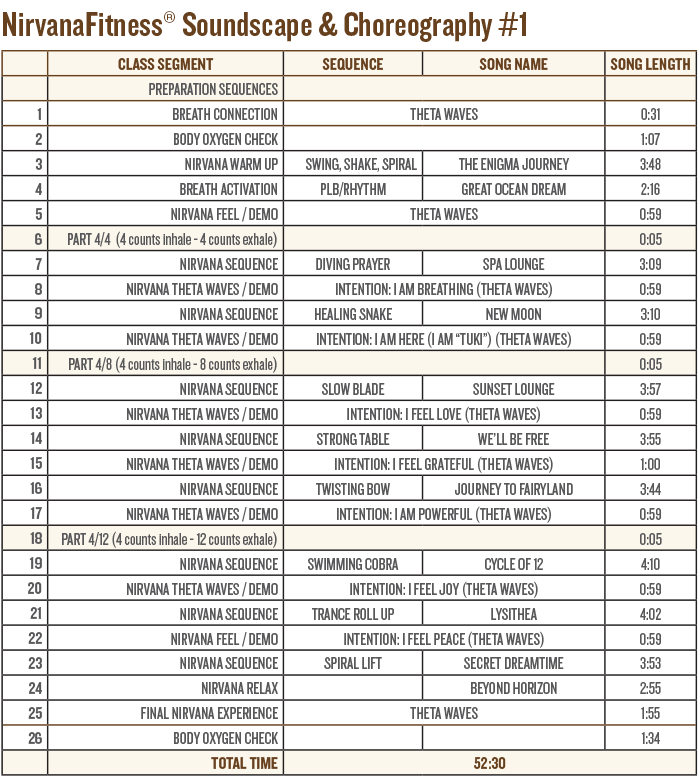 Main goal of the class is to tone up the whole body through series of effective and simple to follow functional exercise sequences while primarily focusing on breathing, creating an array of amazing health and relaxation effects, extra oxygenation, fresh energy boost and deep sense of re-connection with one’s own body and mind. Nirvana® class warm up incorporates breath connection, swing & shake & spiral warm up followed by breath activation. Main part is divided into three sections based on different breathing patterns (4/4, 4/8 4/12 breathing pattern). Class is concluded with complete Nirvana relax and Final nirvana experience, just breathing to music and listening to affirmations in a smooth background music. Body oxygen check is performed before beginning and the end of each class to track oxygenation improvement. Nirvana® includes PLB - pursed lip breathing technique. This scientifically proven technique creates an additional workload on the body by narrowing exhalation pathway, enabling slow and controlled exhale and forcing your body to adapt to breathing speed, which results in multitude of positive physiological adaptations, including higher lung capacity and more efficient tissue oxygenation. 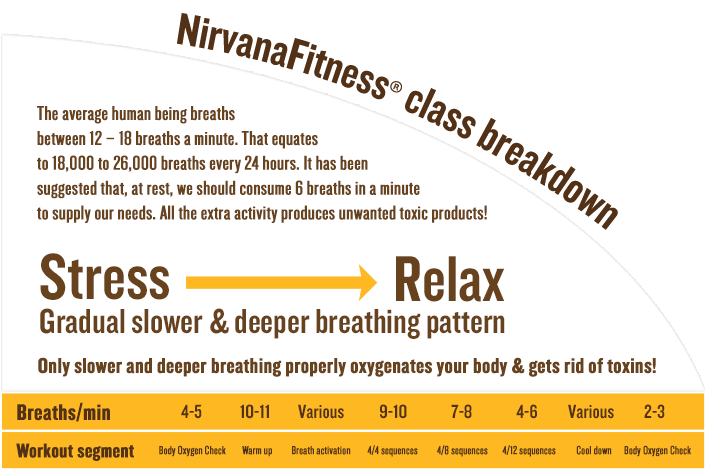 At below presentation you can see how class progresses from 12 breaths/min to a mere 4 breaths/min.